It is convoluted, just because a balance build "shouldn't" have to worry about this doesn't mean it isn't more complicated, you have 3 different bars that I have to keep in mind when building a mech and playing one if I didn't build it right or happen to be playing a mech that is stuck with mostly one weapon types (of which these are numerous). That is the whole point. There has to be a mechanism to hold you from firing 6 ERPPCs at the same time from a Direwolf. Convoluted? maybe. You need to manage... because you chose your build to do so. Or you could scrap this system and just give those mechs buffs to the point where mixing may be a thing since they may not be able to do anything else. What buffs could possibly achieve this without encouraging 1 weapon or without being completely pointless? UAC buffs on mist lynx? Or we just scrap both ED and GH and reduce the heat scale so the game doesn't give a rat's *** about where your damage is coming from, or whether you did 30-damage too quickly, etc etc... it just punishes too much output in a given amount of time using the system that's already designed to do that in the first place. Would this not be preferable to varying types of band-aids? Not in the way you describe, heat is meant to keep both DPS heavy and Burst heavy builds in check. Look, I'm not saying that energy draw is great, I'd much prefer ghost heat with some fixes to penalties (WTB 3 PPC threshold plox), but your system isn't really any better. In fact, your example build would most likely be hurt by it because it mounts 3 ammo based weapons and a single laser. 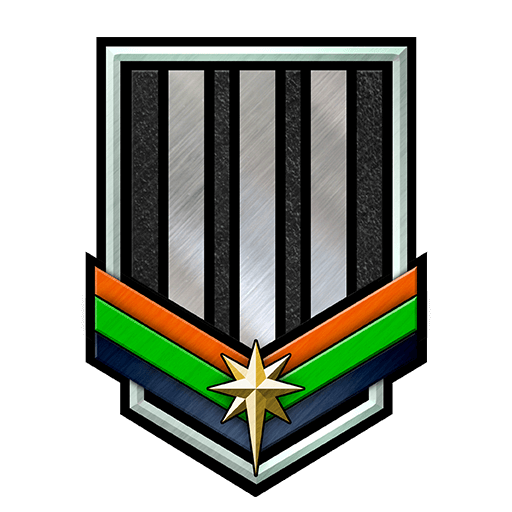 Are you gonna add another bar to separate ballistics and missiles so that mechs designed around those aren't hurt? That is another thing to consider. This discussion is considering that ED is here to stay. And regarding to mixed build being punished in my approach... well, its much less punishing that what we have in the current ED. Your example is bad because your own system won't encourage UACs on a Mist Lynx, because ballistics aren't really practical on lights due to tonnage investment. The construction rules and tonnages of weapons and mechs really hampers balance in that regard but that is a whole other topic. There is only so much quirks can fix in regards to bad design sadly. That is the whole point. There has to be a mechanism to hold you from firing 6 ERPPCs at the same time from a Direwolf. You know what stops that from being a viable mech? Heat, even if there was no ghost heat, 2 Gauss/2 ERPPC would be better than 5-6 ERPPCs, just like how the 6 PPC Stalker was a joke build and not really effective, so to would that. Can we please stop using boogeyman as a reason to implement stupid mechanics? If we're going to have band-aids at all, Navid's is probably the better one of the 3. No, ghost heat is actually the best, sadly. Edited by Quicksilver Kalasa, 20 August 2016 - 11:42 AM. Many mechs have pure energy variants especially with dhs as it was ridiclously easy to maintain heat with them. Edited by davoodoo, 20 August 2016 - 11:50 AM. I just used that as an example to show that with quirks, it is impossible to encourage mixed builds... quirks are either pointless or just lead to 1 weapon type. You give laser quirk to a mech and it becomes a LPL mech. You give ballistic to another, it becomes an AC5 mech. Can I say that heat is a convoluted system in mechwarrior?.. because i need to manage it?. The end goal is not reducing managing. it is to prevent the gameplay to become 1 mech build and 1 mech build only. You could, but your system still has it so it really wouldn't help your case. It should, this is an FPS, not a RTS. Good balance should do that, I mean prior to the Kodiak and rescale there were multiple options for most classes. Edited by Quicksilver Kalasa, 20 August 2016 - 11:50 AM. I disagree with that part. Edited by davoodoo, 20 August 2016 - 11:57 AM. I think it is safe to assume at this point that having one setting for the energy draw meter... in this case the default 30 points... for every mech will not continue onto the live server. All indication is that different mechs will need different draw limits. Given this notion... I think that Navid's system could be used not only as a means to curb output directly, as is the current MO of the ED system, but also as a means to differentiate each chassis. Different chassis could not only have a different total draw value, likely determined by weight class, but also a different distribution between energy based weapons and ammo weapons. Let's say you have 3 35-ton mechs. And let's say we establish that light mechs get a total max draw per type of 30. One of those mechs is all energy, so we dump the full 30 points into the energy draw limit. One of those mechs is all missiles, so we dump all 30 into the ammo draw limit. But, one of those mechs is energy and missile, so we split the difference. Maybe the mixed mech gets 10 and 20 (or you can even give the mixed mech more energy if it's hardpoints are not great). Looking at the Jenner, for example... this makes the Jenner-F, Jenner-D, and Jenner Oxide all perform the same as they would under GH now, all with limits appropriate to the weapons they can actually carry. Edited by ScarecrowES, 20 August 2016 - 11:58 AM. 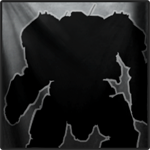 That is assuming all mechs will have the same pool size which is not correct according to PGI. Pool sizes can change according to what mech you are dealing with. I'm not saying what I present is the solution.. i'm just sharing my thoughts. Look...i know some of you are worried about keeping your eye on so many things at the same time. I can understand it's a lot to keep an eye on all at once for some. Now take a look at the pictures below. 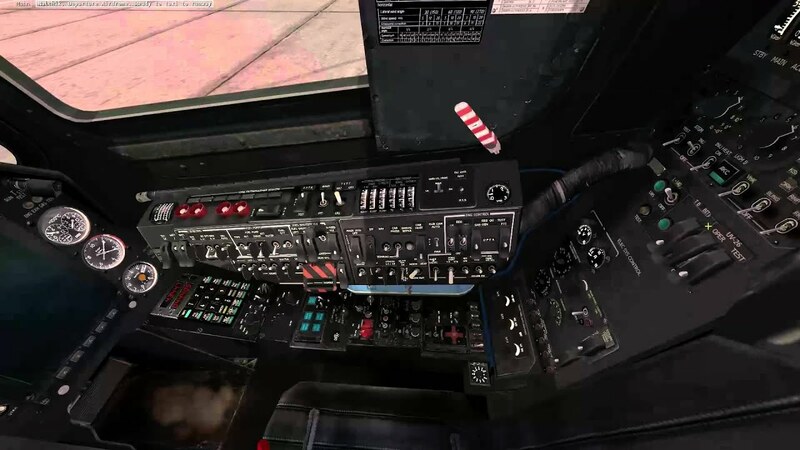 Look at all those gauges, the targeting monitor, map, toggles, buttons, switches, indicator lights and who knows what else. 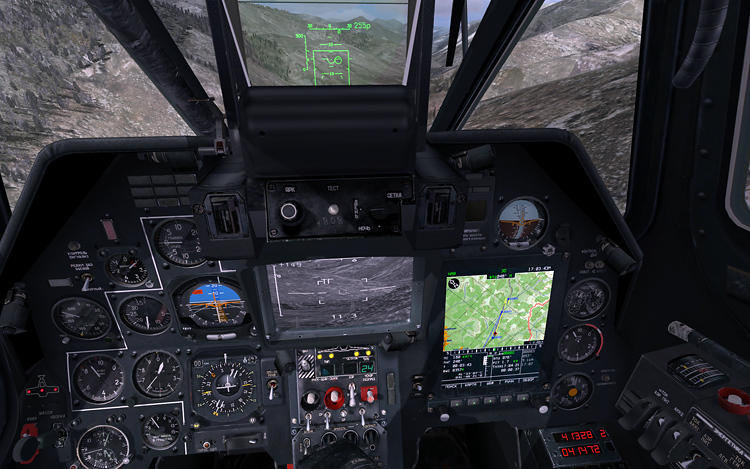 That is from a combat helicopter simulator game called DCS Black Shark. Most of everything you see is functional. You can press a button and that does something. If a needle goes into the red zone something is probably wrong and you need to address the problem before you crash. I managed to play that simulator and keep the helicopter flying while i sent missiles at the targets. Firing a missile took about 7 or 9 actions while keeping myself from crashing or taking too much time. I managed to do that reasonably well and i ain't the sharpest tool in the shed. And no...i do not have a helicopter pilots license. Heck....i don't even have a drivers licence. I don't feel confident about my ability to stay alert when driving past a fine woman so i have never been in the drivers seat. So keeping an eye out for all those things i mentioned earlier ain't that hard. You just got to adapt. If we put each ED gauge on either side of the reticle, then it's super easy to track. It's never out of your sight. In fact, even the one ED gauge we have right now should be moved where you can see it 100% of the time. As important as that is to manage, it should always be front-and-center. You dont manage it ingame, you manage it in mechlab and then go with muscle memory which is exactly what you did with current 4 lpl warhawk. Edited by davoodoo, 20 August 2016 - 12:13 PM. Yeah, if you're boating one kind of weapon. Otherwise, that's pretty asinine to say. But what if you've got a mixed build? Different weapons, different cooldowns, double-tapping. Remember, those all count together now, and muscle memory can't ever come into play here. Unless you're merely trying to demonstrate the fact that ED pushes people toward boating. What is the point in this compared to just having a 30 point global limit? Instead of 4e and 3b hardpoints marauder will get 1 ac5, 2ppc and 2 mlas hardpoints. Edited by davoodoo, 20 August 2016 - 12:36 PM. Point is to discourage boating on a mech capable of using a mixed build. There are plenty of players out there that are tired of seeing the same flavor of builds every match. It is to increase TTK. To make MWO become what it is supposed to be. Right now MWO is very much a CoD shooter. One shot and the enemy is dead....or at least crippled. The developers once said MWO was meant to be a thinking players shooter. They even had it in the pre match loading screen where they gave advice and information way back in the day. If we had to manage different weapon types all the time we would be using our brains. You might not feel confident about being able to keep your eye on it all but you can adapt because i managed to play that DCS simulator. If your smarter than me you can keep your eyes on that energy and ammo bar. i got no education, no drivers lisence, failed in every form of math tests in school constantly and i'm employed in a freakin' 110 year old family paint/art/hardware store which is on it's last crippled leg. Despite all this i managed to play DCS Black Shark which is quite frankly far more difficult than driving a car. Anyone capable of driving a car can keep an eye on heat bar, ammo bar and energy bar easily. Driving a car is just incredibly hard to do when an incredibly fine woman is on the sidewalk. So fling your ******** and sausage over the shoulder and adapt. Onwards. So rather than making that inherent mix better, you just want to force that mech to use a potentially worse off build? Right now MWO is very much a CoD shooter. FFS, please stop saying this, Overwatch and MWO are DRASTICALLY different. The developers once said MWO was meant to be a thinking players shooter. You ever think that managing resources isn't necessarily part of what makes it a "thinking" man's game? Positioning matters far more than it normally does in a typical FPS. Edited by Quicksilver Kalasa, 20 August 2016 - 12:59 PM. Lets take a ******* boat and enjoy single gauge. I need to put missiles on my thunderbolt?? oh **** it then lets take grasshopper or black knight with pure energy. Edited by davoodoo, 20 August 2016 - 01:03 PM.